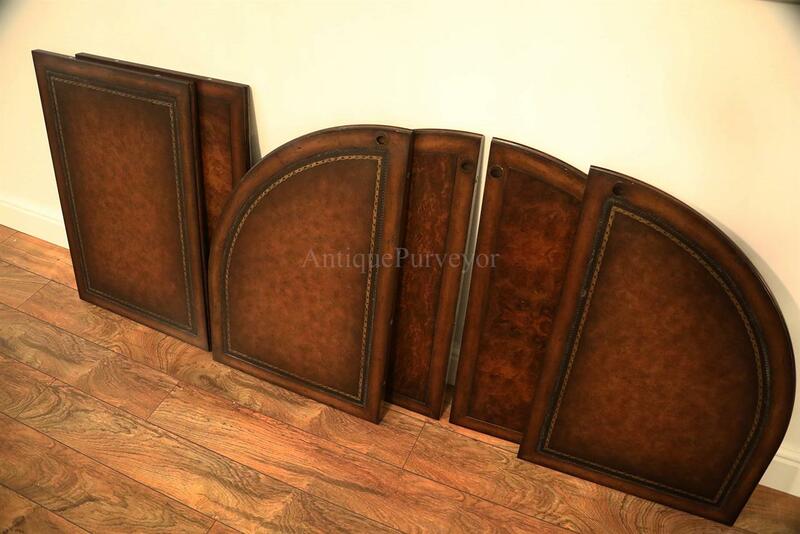 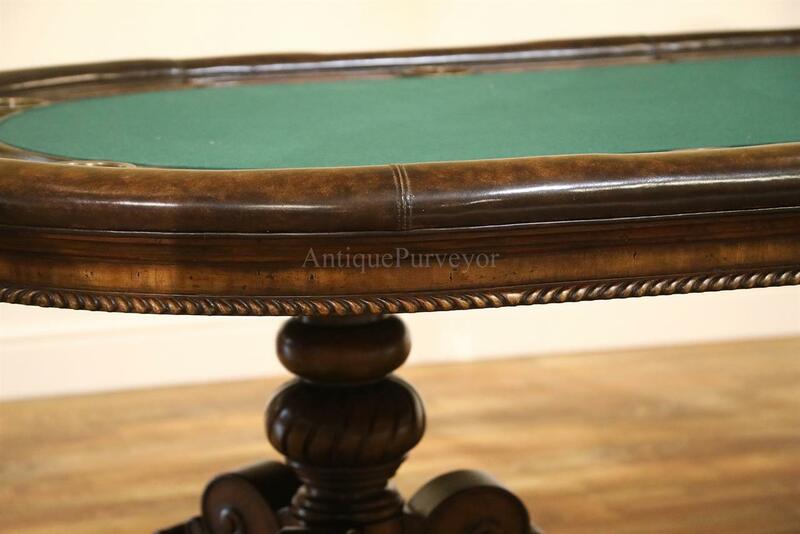 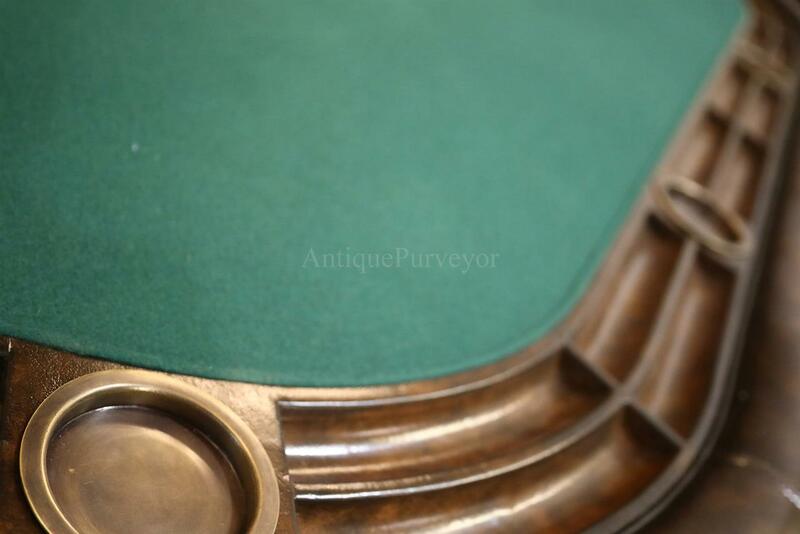 Description: Traditional leather and felt topped poker table for up to 8 people. 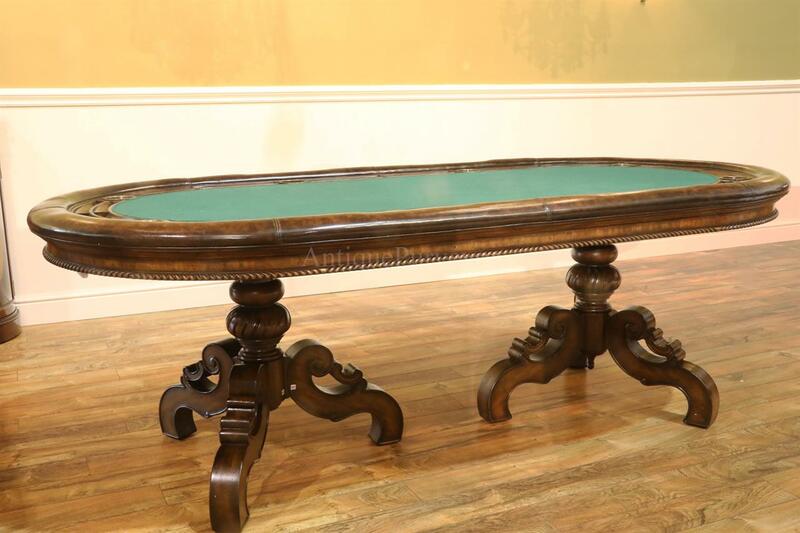 Narrow design, easy to accommodate this table in a game room. 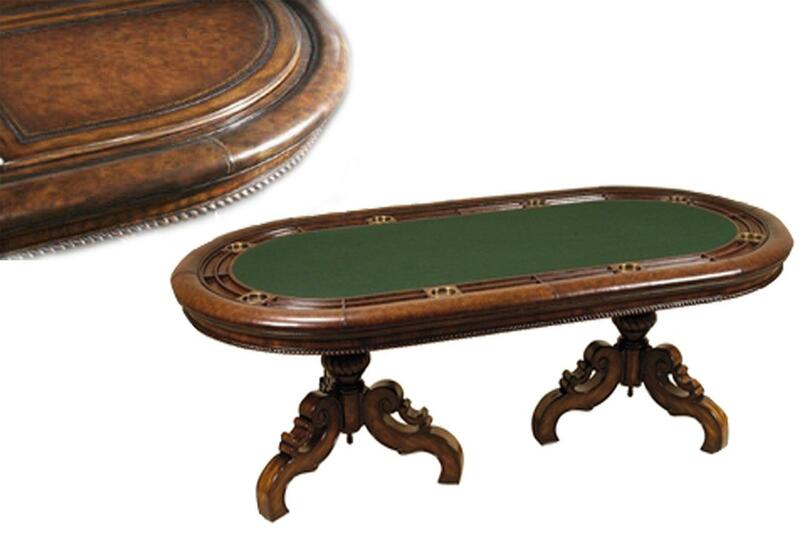 This 8 person poker table is very sturdy and has a rope turn edge and full fitted apron which runs around the perimeter of the table. 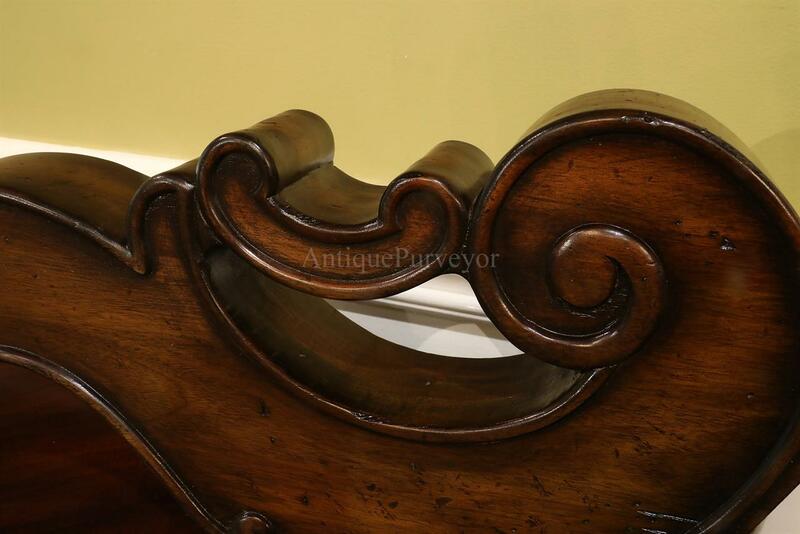 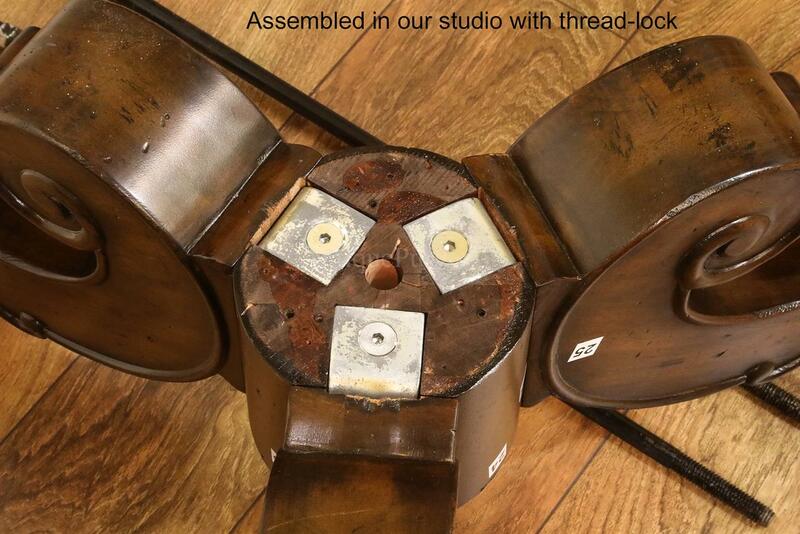 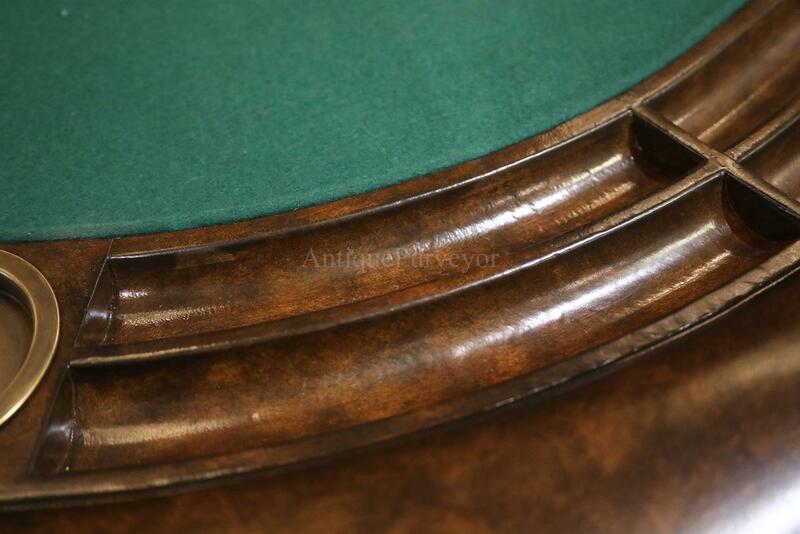 Chip racks and cup areas also designed alongside the outside edge. 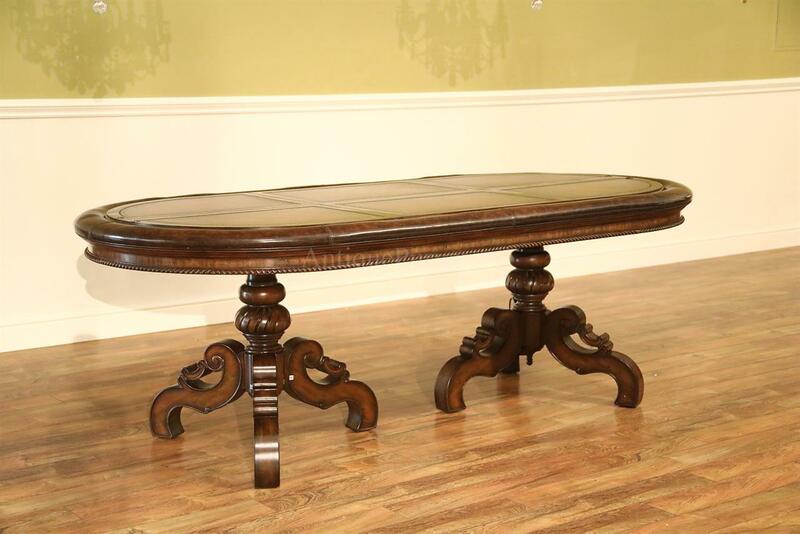 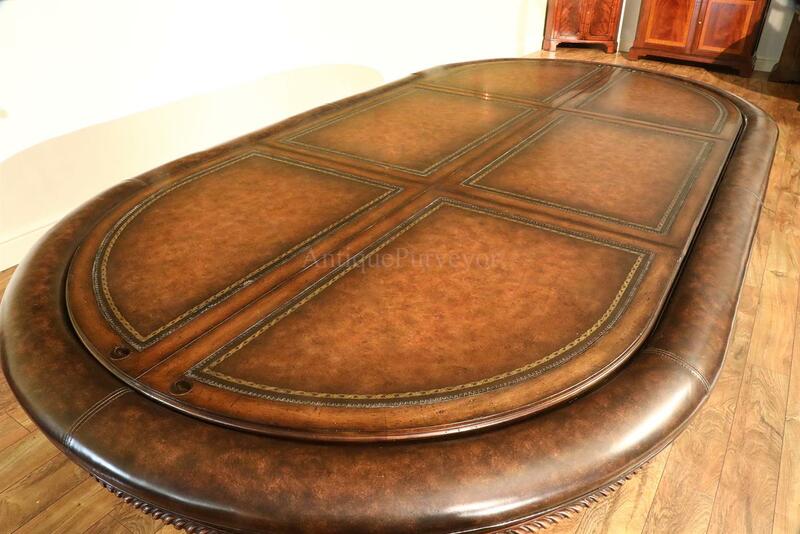 This leather and felt top poker table has an optional accessory which will cover the felt lined center and converts this poker table into a serving table or dining table. 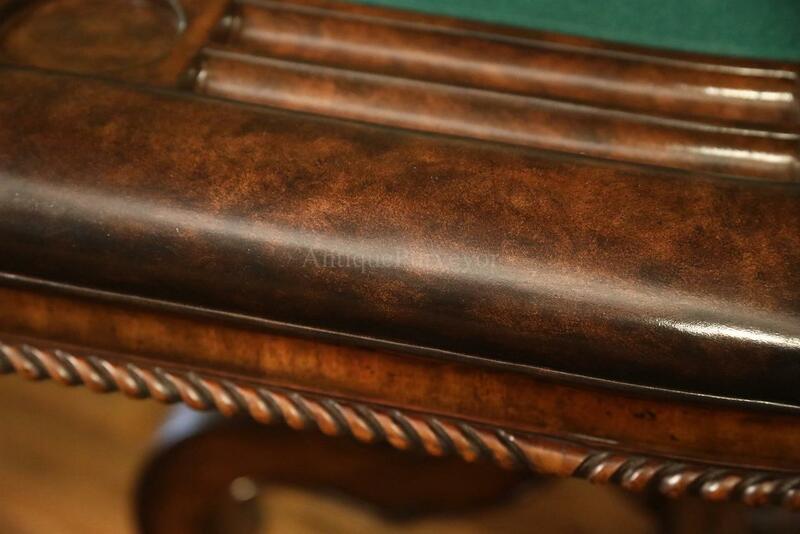 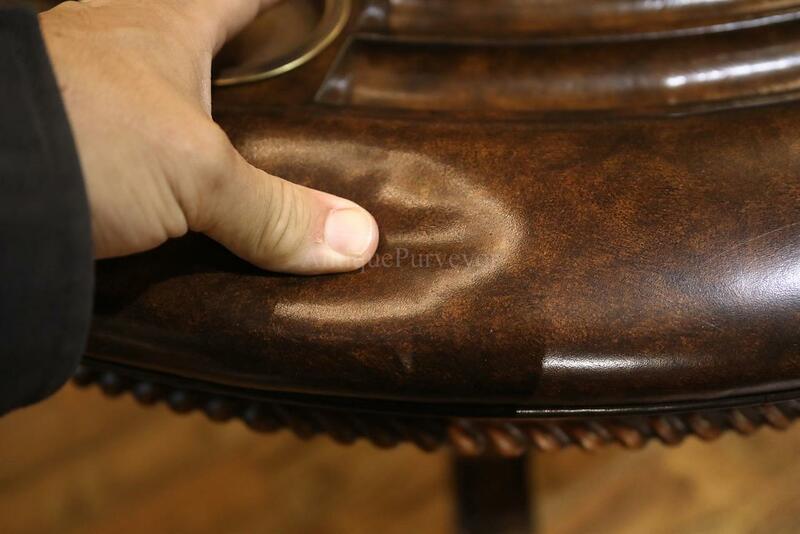 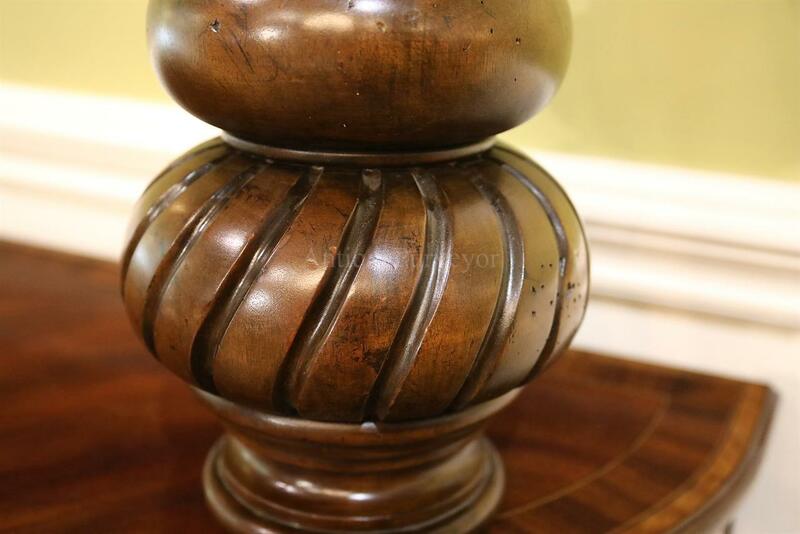 The optional cover has burled walnut finish on one side and leather inset panels on the opposite side. 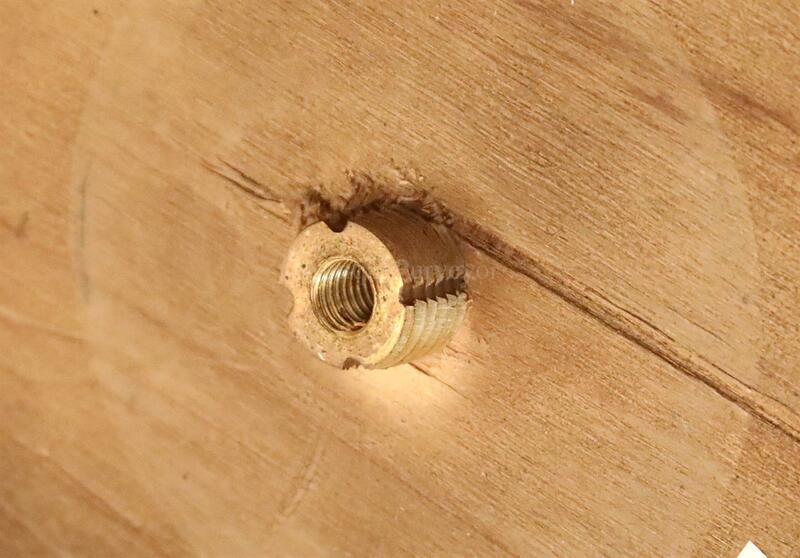 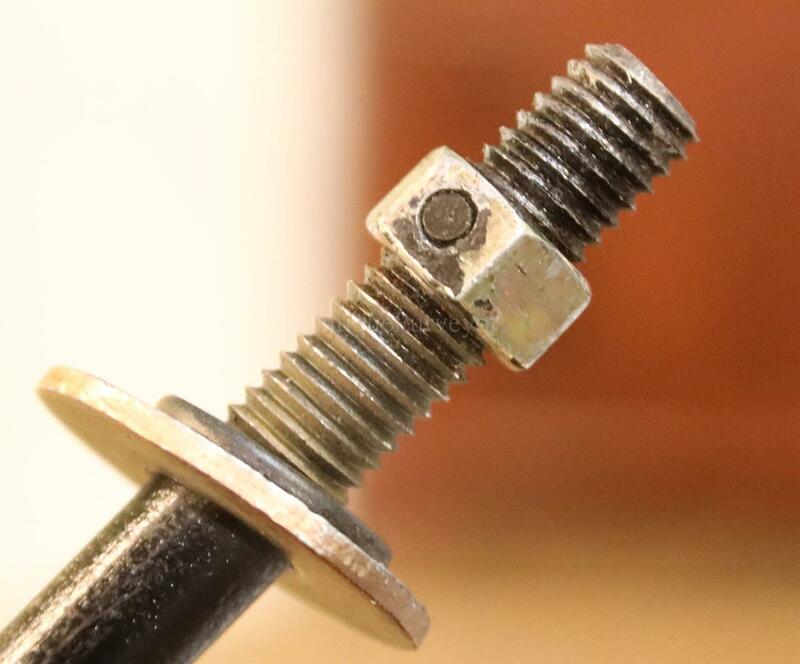 The optional covering system is OPTIONAL & SOLD SEPARATELY. 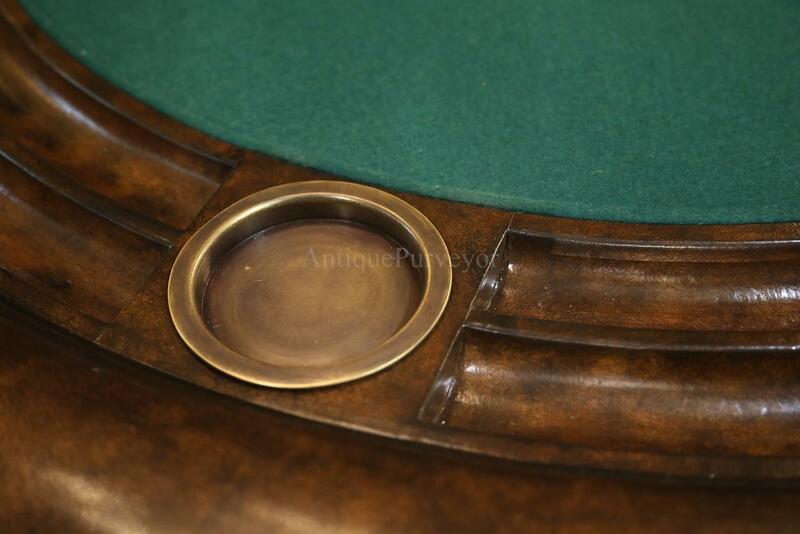 This is a well thought out designer poker table for a game room or parlor.